of people who support the work of the National Trust. Membership costs £5 for year for individuals, or £7.50 for a family at one address. Membership is open to anyone who would like to support our work. You do not have to be a member of the National Trust to join us. Centres and Associations exist to promote the work of the National Trust and make membership more enjoyable by allowing people who support the National Trust's aims and ideals to share their interest with like-minded people in their area. Centres and associations now donate some £1m to the Trust annually, and since the first association was founded in Manchester in 1948, nearly £21 million has been raised. Anyone who wants to support the work of the Trust in this area is welcome to join. Our 350+ members live mainly in and around Swanage and Wareham; click here for more details. 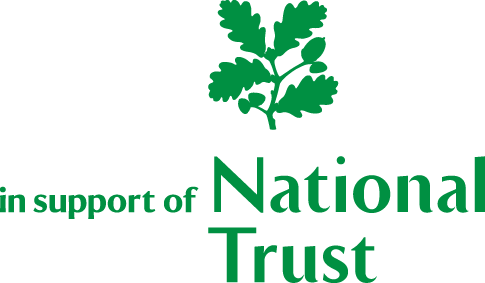 Our objectives are to promote the work of the National Trust in Purbeck and, through social activities, make membership more enjoyable. We are independent of the National Trust but governed by a constitution common to all its Centres and Associations. Our affairs are conducted by a committee elected at our annual general meeting held each April. If you're deeply interested you can click here to see our constitution - it's important, but it's not exactly a thrilling read. There are talks by visiting speakers monthly from September to March. The venue generally alternates between Wareham and Swanage - click here or follow the link above for details of talks. We arrange coach outings to places of interest throughout the year. We often arranged a special Christmas outing in December including an opportunity for Christmas shopping - click here or follow the link above for details of outings. We try to hold some sort of social event most months - click here or follow the link above for details. We used to have a Christmas lunch in December, but we found that lots our members went to similar lunches with other groups, so in 2014 we had a 'Not Christmas Lunch' in January, which proved very popular. We arrange an occasional coffee morning or afternoon tea so that new members can meet the Committee. We know that many members can't attend the afternoon talks or midweek outings, so we have some evening events such as beetle drives, barbecues and evening meals.